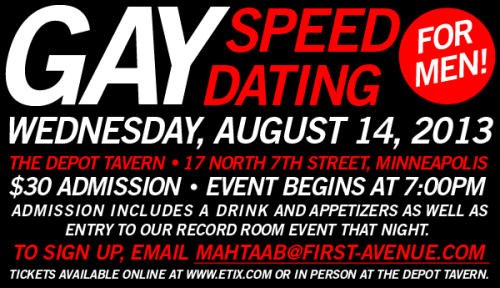 Get tickets now for Gay Speed Dating for Men! Get tickets now for Gay Speed Dating for Men! To sign up, contact MAHTAAB@First-Avenue.com. Admission includes a drink and appetizers as well as entry to our Record Room event that night.